May 7, 2012 / P.J. Don’t be alarmed by the different look of the website. It’s for good reason, I assure you. This week is a special week — and one that we as disc golfers need to embrace and help push. There aren’t enough females playing disc golf. This sport is extremely fun and it works so well that people of any age, gender, race or anything else can play it. And with the proper work, anyone can become quite good. Some of the finest disc golfers I’ve ever seen are female. At the Vibram Open last year, I had the chance to watch some of the very best professional women — Val Jenkins, Sarah Hokom, Paige Pierce, Catrina Allen and Sarah Stanhope. The list can go on and on. A few years ago — based on my stellar scores during the first round of a tournament — I was paired up with four women in the second round. To say they thoroughly whipped me would be an understatement. But what a difference. They were competitive, yet kept things loose, offered some advice and were extremely nice to be paired with, despite me not being so good. My niece, all 14 years of her, is a tall and lanky soccer player. I’ve introduced her to the sport and she’s taken to liking it. But I’ve also wanted her to just have fun with it and not worry about the serious part. Learn as she goes and see where it leads. It’s things like this we need to see. We need younger girls playing the sport. They are the next generation of female players. This sport isn’t male only. And it shouldn’t be. Women from all around the world will play two rounds of disc golf during their local global event. The scores for the two rounds will be submitted and rated by the PDGA. The round ratings will be added to determine the player’s “Global Score.” For the rounds to qualify the event must include two rounds on the same course/layout and also have five players rated 800+ (male or female) to keep the ratings consistent across the competition. The Global Scores will be updated and ranked throughout the day to find our overall Women’s Global Event Champions. As a disc golf community, we should support this as much as we possibly can. Get out there and help at one of these tournaments. Go watch one. Cheer on some ladies. Or, at worst, try and get a couple of females to pick up a disc and play. Help expand the sport as much as you can. 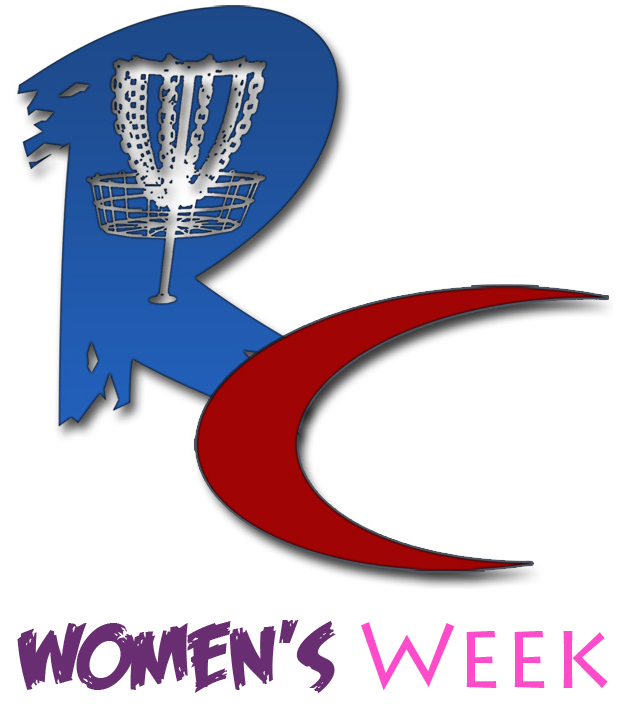 In celebration of this event, we at Rattling Chains have decided to make this Women’s Week. All of our stories will be female-related. Either written by females or about something with females in the game. It’s only right that we try and help push this game out there to more people, especially females. The beauty of this game is it’s one where a family can go out and play together. A husband and wife; a boyfriend and girlfriend; a father or mother and their daughters and sons. To grow the sport, we need to keep pushing it toward that. It doesn’t have to be all about competitiveness and tournaments. But it should be about expanding and growing the sport. The more people who get involved likely means an eventual growth in tournament-level players. And we ask the disc golf community to help as much as you can. This sport needs to grow with both men and women — here’s the chance to help it. Do what you can and let’s see if we can’t — as a community of disc golfers — help grow the sport by getting more females to play. P.J. Harmer is the lead blogger for Rattling Chains. If you have any comments, questions, thoughts, ideas or anything else, feel free to e-mail me and the crew at: pj [at] rattlingchains.com. Don’t forget to follow us on Twitter and like us on Facebook!